The life of a small business owner is no easy task. You work 2-3x times more hours than your friends. You don’t have one, but 25+ job roles. “9 to 5?” That’s just a Dolly Parton song to you. But where there is a risk, there is also a reward. You can implement your vision into your own work, rather than a corporation. You can see a task through from beginning to end. You can turn around and see how far you’ve come as an entrepreneur. 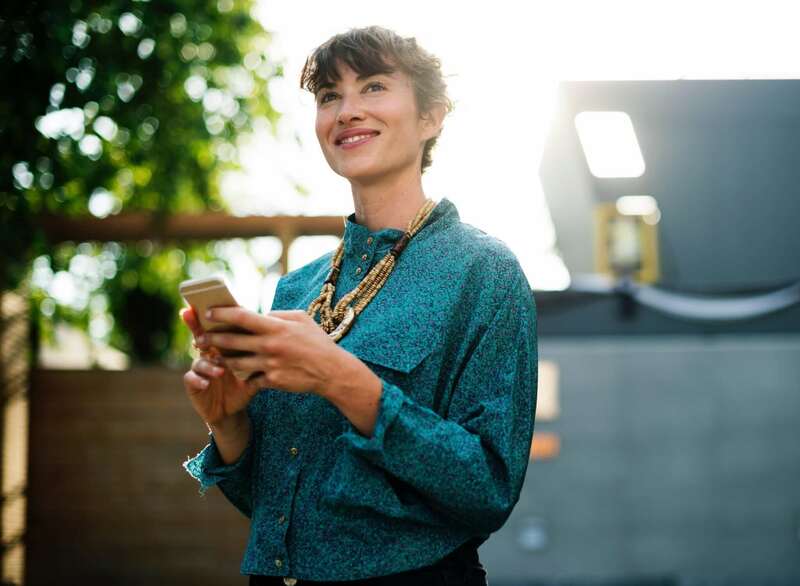 This article provides three general tips around small business success to help owners to bring their businesses to the next level. These strategies are centered on branding, your business plan, financial management, and customer relationship management. To bring your business to the next level and attract customers, it’s vital to start contemplating your business’ brand and what it represents. Is it timeless like Coca-Cola? Does it value sustainability like Patagonia? Does it value customer convenience like Uber? Is it rugged like Carhartt? Is it linked to the associations of a particular location? What Makes Your Brand Different From Competitors? What are its unique core values? Is it your brand personality, unique product packaging or proprietary technology for a service? Does your brand do a specific thing better than competitors? Now that your business is off the ground, it’s time to start defining it. The way to do this is to start thinking about your brand identity. In the simplest sense, a business’ brand identity is how the business wants to be perceived by customers. Am I getting the business’ brand identity across? Am I letting potential customers know what the business stands for through all my business’ actions? Am I leaving a clear impression of what our business’ brand represents through our communications? In academic literature, brand identity is viewed as a concept made up of numerous parts. Think of your brand identity as a combination of components working together in unison to tell consumers what your business is. And take note, it’s much more than a logo and a catchy tagline (don’t get me wrong, these are important too!). This article is looking at 2 brand identity components: brand values and brand personality. While there are numerous brand identity components presented by a multitude of academics (and often hotly debated), brand values and brand personality are both well established in branding literature. They are the best place to start for an entrepreneur looking to better define their brand identity. When pinning down your business’ brand identity, the best place to start is defining your business’ brand values. Brand values are effectively a summary of what underpins the actions of a business. They are the basic principles that govern the brand in its product/service development and communication. It is generally recommended you have a small number of important brand values. Having too many can confuse staff on how to act in certain situations, causing brand inconsistency. Too many brand values can also confuse consumers to what your brand actually stands for. Innovation – A software development business could state that one of its brand values is to be constantly innovative. This may mean that every day they try to push the envelope on what they do, and will take risks to reach the next big breakthrough. Transparency – A food manufacturer could say one of its brand values is transparency. In every part of their supply chain, from sourcing products to manufacturing to printing labels, they strive to always be transparent to their consumers. Sustainability – A clothing company could always strive to implement sustainable practices. They source local, renewable materials, their production is environmentally friendly, and they use sustainable energy sources to power their manufacturing. Brand personality is a set of human characteristics associated with the brand. This can include a range of characteristics, such as personality traits, age, gender and more. Think of it like this; If my business’ brand was a person, what kind of person would it be? Brands with a strong personality have significant advantages over those without. They are more likely to stand out to consumers and convey a message. Brand personality is generally a great area to differentiate your business from competitors, especially in over-saturated markets. A classic example of this would be the soft drinks market. Even though Coca-Cola and Pepsi have very similar functions, both being colas, they have significantly different brand personality. Coca-Cola is generally deemed to authentic and classic, with Pepsi having a more young and exciting personality. This can be seen from everything from their packaging to their advertising campaigns. A scotch brand could possibly be personified as middle-aged, timeless in style, wise and reserved. They are interesting without being loud, and they are the kind of person you want to sit down, chat and enjoy the simple things with. A rideshare service could possibly be personified as a young, tech-savvy, bubbly professional. They are energetic, lively, and always on the go. On one last note, don’t confuse your brand personality for your target audience. Many consumers are often aspirational in their brand choices and choose brand personality traits they admire (or want to have) as opposed to ones they actually possess themselves. For example, if we were to look at the brand personality of Tanqueray Gin, it is quintessentially British, old-fashioned and timeless in style. This does not necessarily mean Tanqueray’s target market or active consumers are solely elderly, stylish British people. To get your business to the next level, you need to start cleaning up your financial management and record keeping. The best way to do this is to actively separate your personal finances from your business finances. Here are three steps on untangling your business and personal finances. The first thing to do is to officially register your business. Registering your business solidifies it as its own distinct legal entity separate from you as a person. To register your business, you need to choose a business name, location, and a business structure. Choosing the right business structure is important as it affects important issues such as personal liability and taxes. 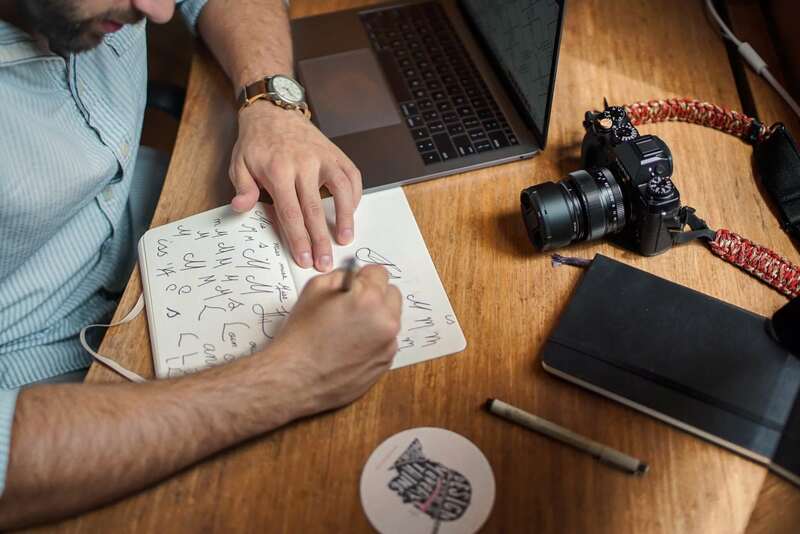 The US Small Business Administration has a guide on how to launching your business, including a dedicated section on reviewing common business structures. Your business structure and location determines how and where to register your company. Small businesses are generally required to register with their local and state governments. After receiving your EIN, you are now eligible to apply for business bank accounts. The best way to manage and separate your personal and business finances is to have designated bank accounts for both. Having a business checking account (that is solely dedicated to business transactions) assists you in record keeping, filing taxes, applying for tax breaks, and keeping track of your profits. Opening a business savings account can also be a smart move, and not just for saving. A business savings account can be used as security for a business loan. Many business bank accounts will require you to have an Employer Identification Number (EIN). An EIN is a nine-digit number issued by the IRS that identifies a business as an operating entity. It is free to get and can be applied for through the IRS website. 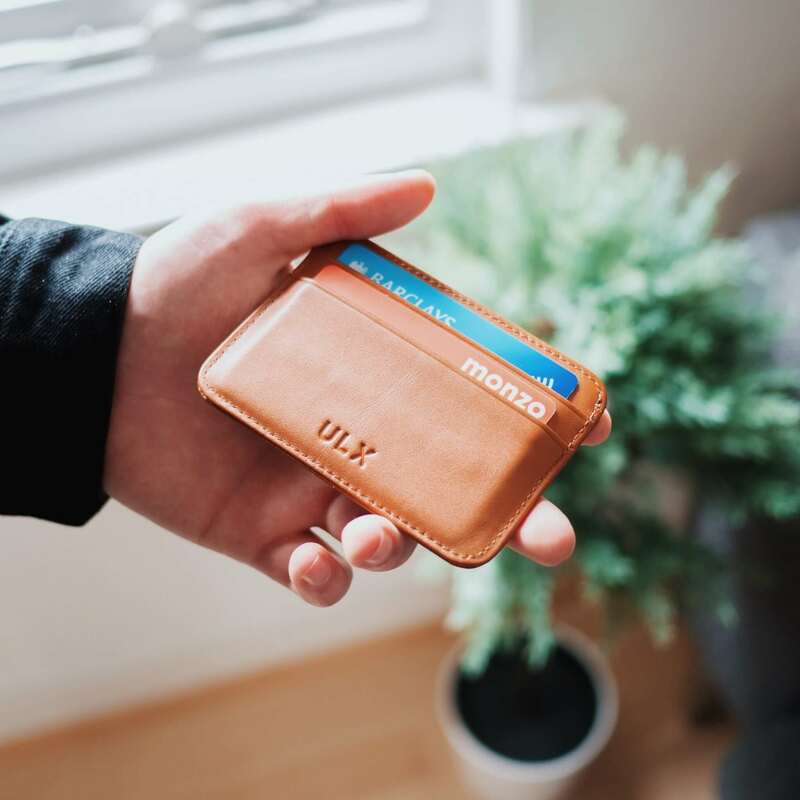 In the same vein as opening a business checking account, getting a credit card solely dedicated to business expenses can help you better manage and separate your personal and business expenses. Utilizing a business credit card stops you from tangling your business and personal expenses, which can lead to nightmares come tax season and serious financial mismanagement. Business-specific credit cards also come with a range of rewards and benefits specifically tailored to small businesses. These rewards and benefits can offer significant value to businesses, including cash-back on certain business expenses, travel and shipping insurance, and extended warranties. A business credit card can also help you build business credit, which is something you will want to consider if you want to take out credit down the line. There are numerous business cards on the market suited to a range of different business types. When researching business credit cards always keep your business aims in mind. Make sure a business credit cards’ rewards and benefits give as much value to your business as possible. If a potential business credit card has an annual fee, make sure that the benefits and rewards you’ll earn outweigh the cost. A Customer Relationship Management system, often abbreviated as CRM, is a tool that helps businesses stay organized and boosts their productivity. It assists in the management of any business relationships, ranging anywhere from customers to partners to press and everything in between. Having the right CRM system in place is hugely beneficial. It allows anyone in the business to easily locate contact information, multiple pipeline statuses, sales data insights, and data from email and marketing campaigns. It can also help a micro-business or sole business owners better organize tasks and cut the mental strain of having to remember everything. Having quick, centralized access to all this data not only saves ample amounts of time, but can also rocket the productivity and efficiency of your business. Three ways Nimble CRM can help take your business to next level. Say you have a face-to-face conversation with a partner about business. This then leads to an email thread, which then leads to a video conference. Through this process of hopping through communication methods, it is easy to lose track of important information. With Nimble CRM in place, it is possible to track and manage all communications with a partner, customer, or any other business lead. Nimble keeps you and your employees up to date with all progress in a matter of clicks. 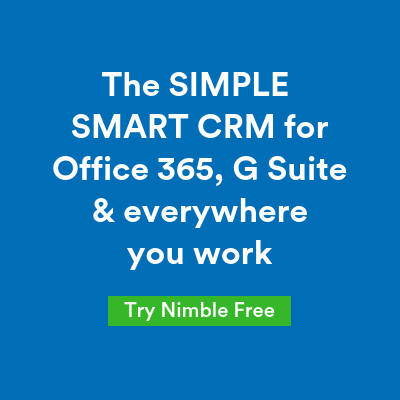 Nimble automatically syncs your team’s Google and Microsoft contacts, calendars, email threads, and social media communications to keep a constantly updated centralized platform for all business affairs. Nimble allows you to store data about what is being said about your business on social media and by whom. It allows you to see what key industry players and influencers are discussing your brand, what they are influential in, and what they are saying about your competitors. 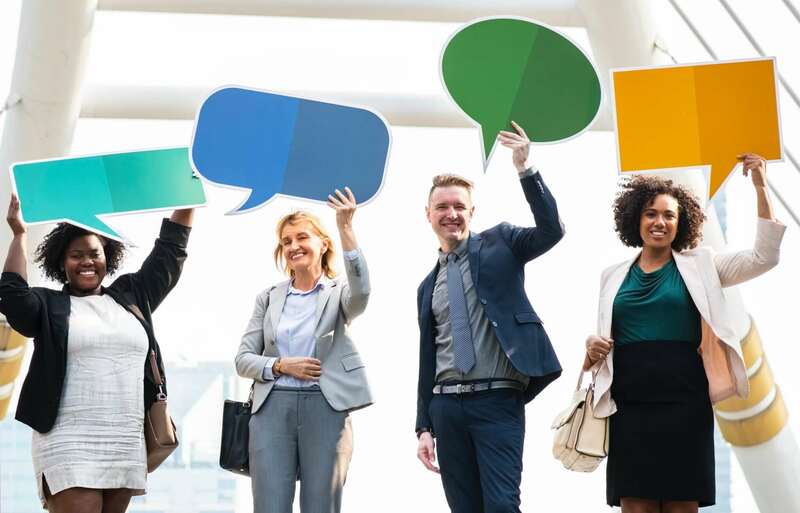 This can provide profound insights into what public opinion is on your brand and therefore allow you to make more informed business decisions. The recipe for entrepreneurial success is never set in stone. It takes a lot of hard work, a multi-skilled business owner, and sometimes a bit of good luck. If you’re ready to take your small business to the next level try Nimble’s 14-day free trial. 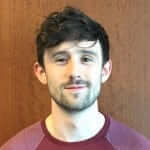 With an educational background in law and business, Oliver is a Financial Industry Analyst who writes about various business topics such as small business management, financing, and credit.